I found an extra package of these (left) gorgeous paper lanterns by MarthaCelebrations that had been left over from one of our events last year. 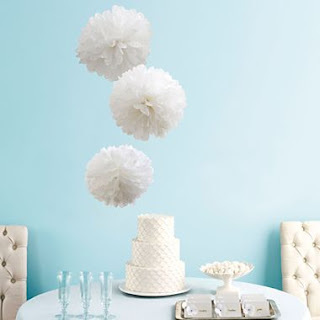 This decor piece is perfect for children's parties, teas or showers so I always try to keep quality staples like this in the house. They were stashed neatly away in the party bin and now, needing more pom poms, and on serious time constraints, I turned to marthastewart.com where she provided the below images of the very simple how to on creating your own. 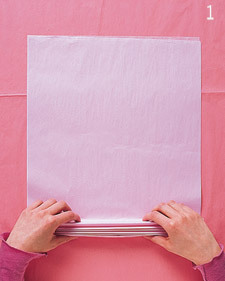 Imagine the versatility-little ones, massive ones and varying paper colors are just the start. What are you waiting for? 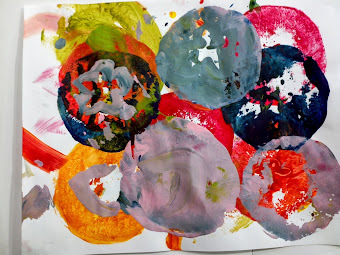 Try varying paper (i.e. stripes, polka dots, contrasting colors, etc...) for dramatic effect. 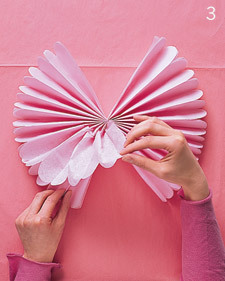 Make varying sizes for matching decor pieces. 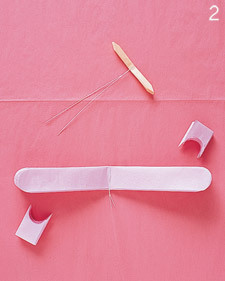 Separate layers by pulling them away gently to avoid tearing. 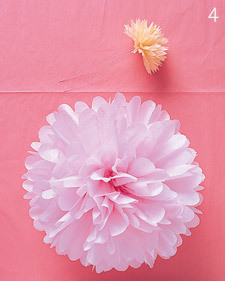 Love the look created with the smaller pom. 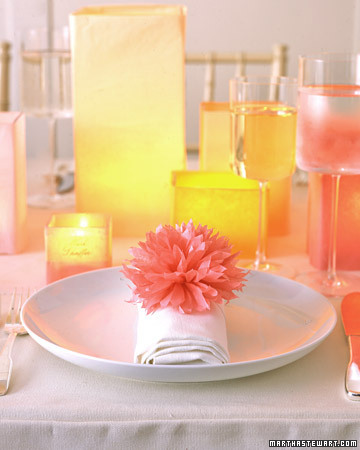 Napkins, candles, vases, flatware are all places this pom could go! For original project click here.